Structure Deck: Lair of Darkness, available Friday, April 20, will feature the Darkest Diabolos and terrifying tyrants of torment. These wicked shadow lords boast immeasurable power, but demand heavy Tribute from any Duelist who seeks to wield it. 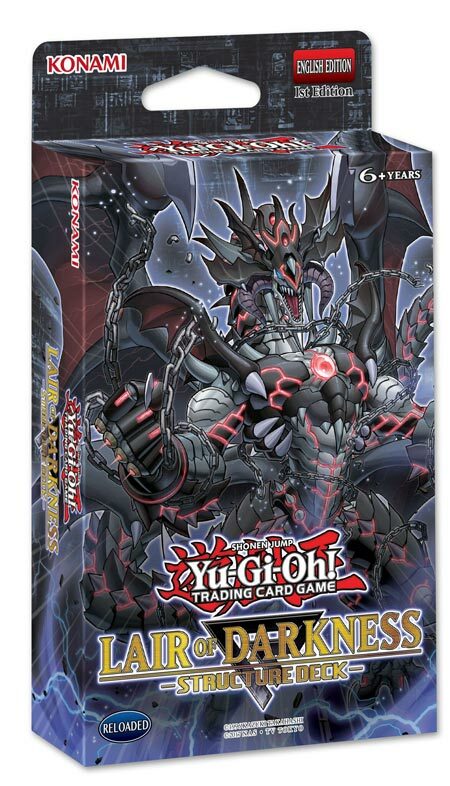 The vicious visage of Darkest Diabolos, Lord of the Lair holds no hint of compassion or mercy, not even for cards that have yet to be played – his special ability lets you Tribute a DARK monster to interfere with your opponent’s hand! Special Summoning Diabolos is no trouble either thanks to his powerful Summoning ability that will naturally trigger as you advance your game plan.